Wale Wale Future Center is the vision of Wale Wale Kenya. A vision of what we want our organisation to become, what impact we would like to have on Kibera as a community and on its young population in particular. This vision was formulated when we first started our youth center, under the umbrella of Wayo Wayo Africa in 2012. Those who have followed our progress since then, knows that we, step by step, have worked towards this vision. In September 2015, the architect Linda Eriksson, made the vision substantial by designing our dream center – Wale Wale Future Center. Since then, strong efforts have been made to one day be able to build it. The Share a Square campaign kicked off in December 2016 with the aim of raising 100,000 USD in order to purchase a piece of land. Unfortunately, the share a square campaign was not as successful as we had hoped, raising only 16,000 USD in about 9 months. This has forced Wale Wale Kenya to review our future plans to fit reality and budget. The Wale Wale Future Center remains the symbol for Wale Wale Kenya´s vision to become a strong and influential NGO in Kibera. An organisation with an impact not only on the individuals that visit our centre, but on Kibera as a community. 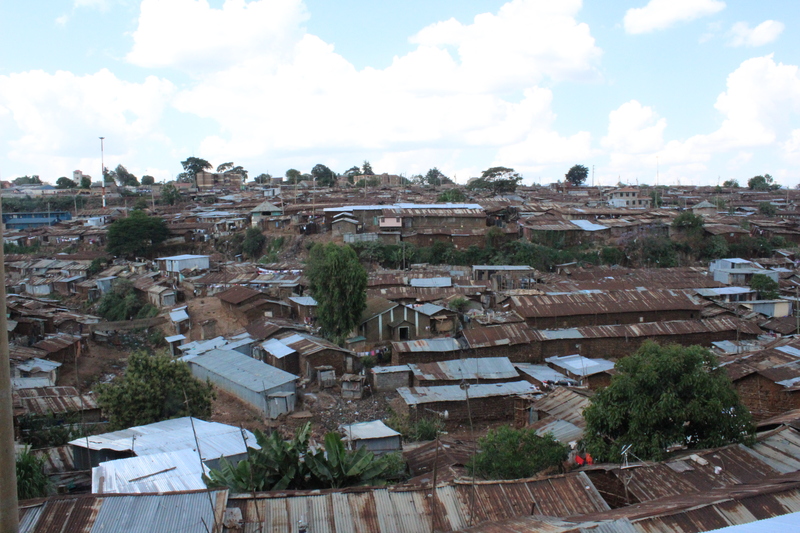 We want to become the organisation that injects a needed doze of hope into Kibera´s young generation. Wale Wale Kenya will always safe guard the rights and interests of young people. We want to tell their stories, represent their interests and support them in their struggle. We will be the whistleblower where young peoples’ rights are being ignored or violated. Our vision is to become a trusted NGO within Kibera, that institutions and organisations dealing with young people, could turn to for support and advice. The Wale Wale Future Center, constitutes the body of this vision, the place where all the mentioned things will take place. The Future Center is the symbol for Wale Wale Kenya´s vision, but also an ambitious, yet realistic goal for our development, be it 10 years from now. We aim to step by step develop our projects and grow in number of members until we move into our Future Center. However, after the unsuccessful share a square campaign, we have decided to realize our vision gradually, rather than rushing into something we are not sure we can handle. Therefore, Wale Wale Kenya have, with the support from Wale Wale Sweden, decided to move into better and larger facilities and invest in a strong progress for the two coming years. As for the share a square campaign, the raised 16,000 USD will fund the complete budget of running Wale Wale Kenya´s programs for the first year. Saved up capital will be used to cover the second. Towards the end of the second year, a plan for the next coming years will be laid out and further steps towards Wale Wale Future Center will be taken.